Weird westerns have become highly popular among new pulp readers of the past five years with lots of major publishers getting in on the act. Now comes this collection of six such tales by some of the best scribes in new pulp fiction as edited by James Palmer. Josh Reynolds leads the pack with his Pinkerton agent in, “Mr. Brass and the Mass of Serpents.” Imagine a steampunk western mash up with Lovecraftian horrors and you have this fast moving entry wherein Mr. Brass, accompanied by a young occultist named Warren and the legendary black lawman, Bass Reeves, must get their prisoner aboard the 3:10 airship to the federal prison while fighting off a hosts of snake-people. Though the story is fun, its glimpsed into an alternate world is much too brief and left this reader feeling cheated. There’s obviously a whole lot more to Reynold’s creation than what we were given here. “Sins and Lilies,” is offered up by Tommy Hancock and newcomer Morgan Minor. When a small town sheriff encounters a beautiful ghost being held in servitude by a twisted Sin-Eater, he challenges the black-hearted villain for her very soul. A gem of tale wonderfully executed. Next up is Barry Reese’s “The Mechanical Heart: a Tale of Julia Holst and the Weird West,” which immediately wins him the prize for the anthologies longest title. Julia is a woman who seeks out mysteries and in a small mining town she runs into a truly unique being; a robot vampire named Timothy. Reese’s tale is cleverly set forth and totally avoids the kind of clichéd pitfalls such a plot would invite. Instead he delivers a brilliant story that is by far one of the finest he has ever put to paper. It alone is worth the price of admission. Writer Ed Erdelac’s “The Alkeldama Dig,” is the most horrific entry as it tells the story of a miner offered five thousands to dig into a rich man’s grave from beneath it to claim a valuable deed. Instead of wealth, the hapless fellow finds a treasure of monstrous evil at the end of his tunnel. “Mummy Train,” by James Palmer is a rollicking action packed yarn that takes place on a train and has a gunfighter and magician joining forces to combat a group called the Cadre set upon stealing ancient Egyptian artifacts being transported on the train. In the process a mummy is revived and does battle with a mechanical man which had me envisioning scenes from old Universal Monster movies. Still, this is the third story out of six in which a humanoid automaton appears and that is bothersome. We would have preferred Editor Palmer be more selective in his choosing entries and not repeat the same themes. Finally the book goes out with a whopping bang in writer Joel Jenkins’ “The Eye of Ulutoh.” This features Jenkins’ highly popular Indian occult fighter, Lone Crow as he and a female gunfighter, aboard a Costa Rican steamship, fight an otherworldly monster from the ocean’s dark depths. It’s a colorful, well written story that had us wanting to find more Lone Crow tales. Clearly our second favorite in the colletion. STRANGE TRAILS is, like all such anthologies, a mixed bag but we’ve no hesitation in recommending it as all six stories are competently crafted and totally entertaining. Now isn’t that the purpose of any book? 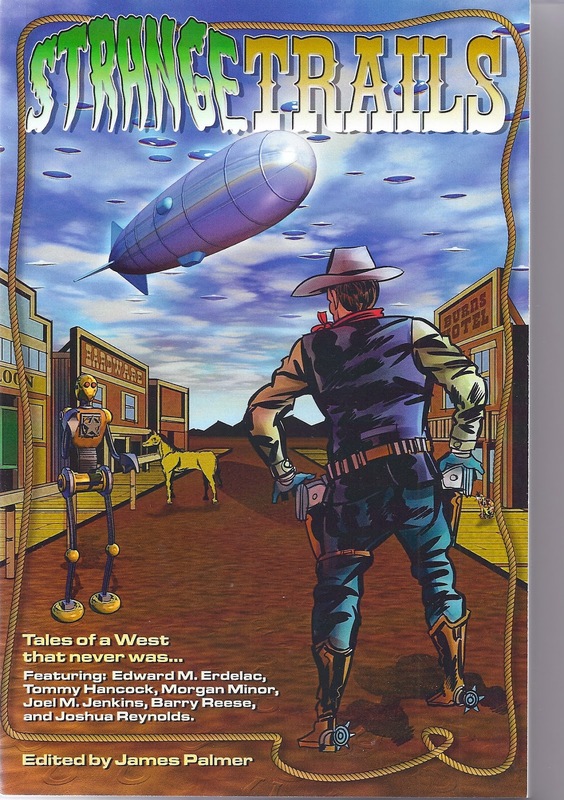 Kudos to Mechanoid Press and we do hope there will be future volumes of these weird westerns yarns. Well, if that isn’t an original hook, we don’t know what is. We were immediately intrigued as to why this particular book was so unique to the author amongst all the others he’s done in the past. We asked to receive a review copy. It arrived in time to be our first review of 2014 and after devouring it, we’re thrilled to say the New Year at Pulp Fiction Reviews is off with winner. Scott James is a Los Angeles police officer. One night, he and his partner, Stephanie Anders, are caught in a brutal crossfire when they witness the murder of two successful businessmen by a gang of masked men. Stephanie is killed and Scott terribly wounded. Months later, after completing physical therapy and while under a psychiatrist care, Scott manages to get himself reinstated for duty. He is haunted by Anders death and guilt ridden. 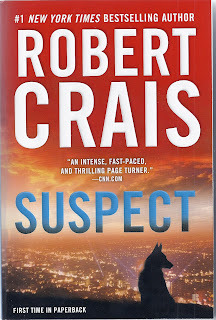 Reluctant to be teamed with another officer, Scott request reassignment to the K-9 division of the LAPD. His logic, dogs don’t talk. At the dog training facility, Scott is about to be paired with one animal when he sees a beautiful female German Shepherd with scars on her backside. Curious, he inquires as to how the animal was injured. He learns she was a former Marine Scout Dog and while on patrol in Afghanistan, was shot twice while attempting to save her trainer who died from an I.E.D roadside explosion. Scott learns that Maggie, the dog, also bears her own emotional scars and no one at the kennel expects her pass the rigorous tests required for her to be certified. Scott, because of his own issues, recognizes that he and Maggie share a great deal and convinces the Sergeant Leland, the man in charge of the unit, to let him have Maggie. From that moment on, Crais skillfully weaves his story between both the human and the dog, allowing us to see their individual fears exposed through the budding relationship each is building with the other. Maggie lives to love and serve; it is how all dogs are wired; whereas Scott’s own reservations are daunting. When he eventually begins to open his heart to Maggie’s purity, his life begins to have purpose again. 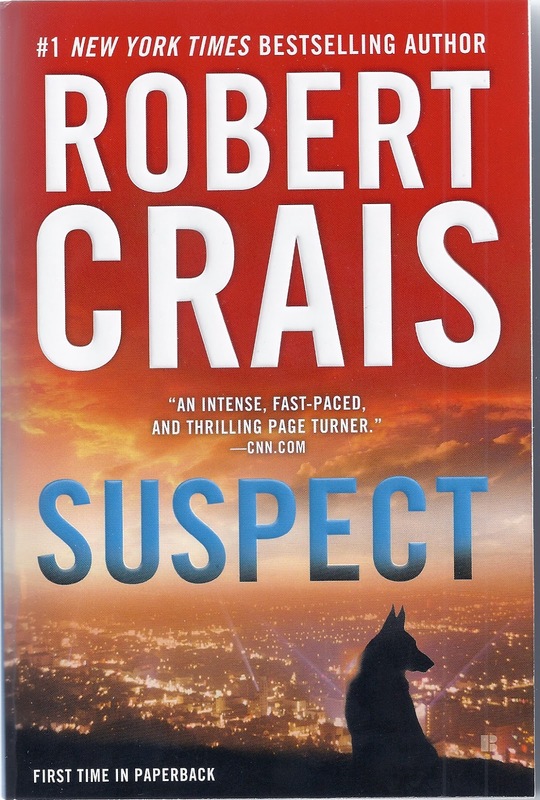 Eventually new clues surface as to the identity of the gang who ambushed the businessmen and Scott, through a friendly detective, is pulled back into the case. At first he is cautiously optimistic and then as new leads begin to surface, the mystery elements of the plot take center stage. Only now, Scott is the not alone in his quest for justice but he is faithfully assisted by a truly remarkable, brave, four-legged ally. We haven’t encountered such a wonderful dog hero since Dean R. Koontz’s Einstein in his classic fantasy adventure, “The Watchers.” Believe us, Maggie, is just as memorable a hero and this is one of those rare books that you will hate to see come to a close. So, let me conclude with this one thought. Hollywood, you’ve been given a gem of a tale to bring to the silver screen. As in all such adaptations, casting will be all important and somewhere out there, you had best find the next Rin-Tin-Tin. Maggie deserves nothing but the best you have to give.